I recently took Oprah’s Test Your Food IQ online quiz. It is five questions about food choices, food miles, pesticides, and antibiotics in animals. Such quizzes remind me of a constant choices I make as a food consumer when I vote with my wallet. Especially in the pesticide debate. In my recent Master Gardener class "Integrated Plant Management," I learned some of the science behind pesticide classification and pesticide toxicity. Whether synthetic, natural or organic-certified - all pesticides have certain elements in common. 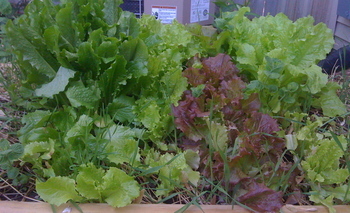 All pesticides are selecting for resistant bugs and are tested on animals. Pesticides kill pests. A pest is anything that has caused damage or has the ability to cause damage to agriculture (backyard gardens to 100-acre farms). Insects, mites, fungus, bacteria, plants, rodents, slugs, birds, eggs or vertebrates all fall under this umbrella - depending to whom you are speaking. Given enough time, all of our current poisons will be obsolete because the pest population will have adapted resistance to them. Our teacher defined resistance as, “genetic selection in response to exposure to cultural, biological and chemical control methods.â€ This genetic development to outwit extinction is not a question of if; it is a question of when. Mother nature will work around whatever controls we think are necessary. So that is one side of the pesticide argument - that we are breeding resistant pests. Another side of the pesticide argument is the toxicity to humans. Acute toxicity from pesticides is expressed as LD50 (lethal dose 50) or LC50 (lethal concentration 50). When scientists were testing this item (pesticide or otherwise) on animals, 50 percent of them died. LD50 values are expressed as ratio of mg/kg or ppm. 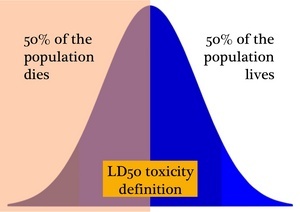 The lower the LD50 the higher the toxicity. For example, sugar has a LD50 of 29,700 mg/kg and Botox has a LD50 of 0.000001 mg/kg. Our teacher’s voice boomed across the classroom again and again throughout the class: “Chemical control is the last resort! Just because a pesticide is 'natural' does not mean it is safe!" We saw pictures of using fire torches to kill potato bugs in the fields (it retards the growth of the plant by a week). He talked about using boiling water to remove unwanted weeds from your driveway. We spoke about changing the expectations for what consumers will accept in the grocery store. The key is for us, as consumers, to change our threshold for what we will buy from commercial growers. According to Oprah’s IQ test and the dirty dozen, apples have an incredible amount of pesticides - growers think no one will purchase an apple with blemishes or worms in it. I disagree; I purchased no-spray apples at the Westside Farmers Market last summer and learned to eat around the worms. We need to shift our threshold for what we think our food should look like. As I learn more about pesticides, I certainly will.